The Indigi 3-in-1 solar powered LED Lantern is a multi-functional Mini pocket sized Lantern, perfect for the outdoor hiking, camping, or as an emergency light. Designed with a solar panel on the roof of the Lantern, you can charge your Lantern through the power of the sun or through a MicroUSB port. Collapsible in size, it fits right into your pocket and doubles as a flashlight with two brightness Settings and an emergency SOS Flashing mode. 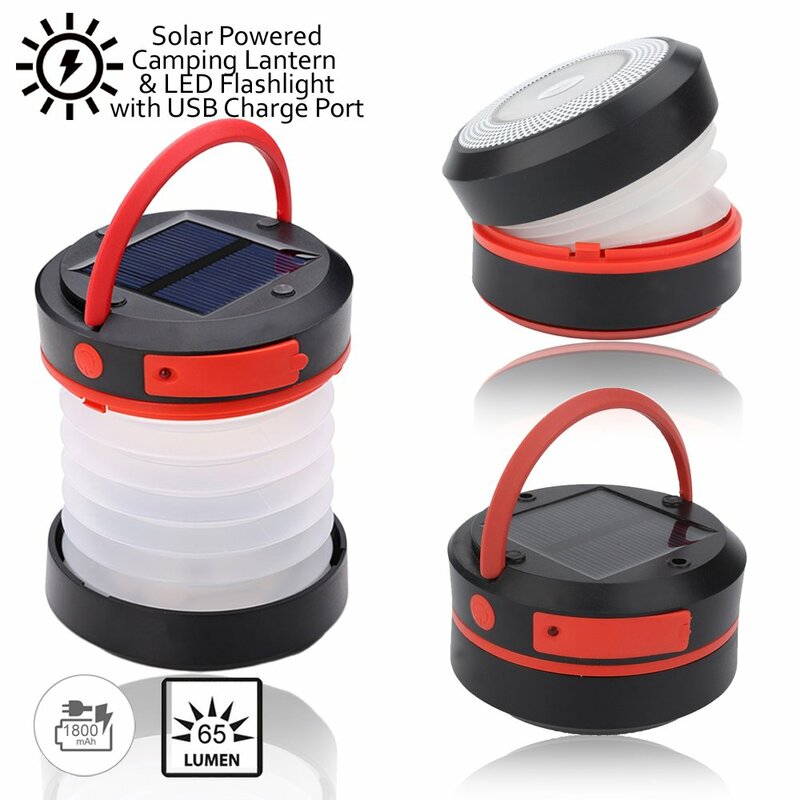 The solar Lantern has the ability to charge your smartphone devices on the go as it has a built in USB port that allows you to charge any smartphone device. With an 1800Mah capacity, the Lantern has a run time of up to 8 hours due to the extremely efficient LEDs. With the help of this Mini camping Lantern, you’ll be able to charge your phone/tablet, brighten up your campsite, and signal for help from rescue teams – all with one survival tool. This outdoor Lantern is one of the best pieces of camping supplies you can own; with its variety of Settings, bright Luminous light, SOS emergency signal, charging capabilities, and smart protective chip, this multi-function Lantern will be your new favorite survival tool. Plus it’s so Compact and easy to carry, we’ve nicknamed it the “pocket Lantern.” keep this rechargeable camping Lantern with you in your camping Gear and Bug out bag to prepare for your next adventure!